Ahhh the acai bowl. 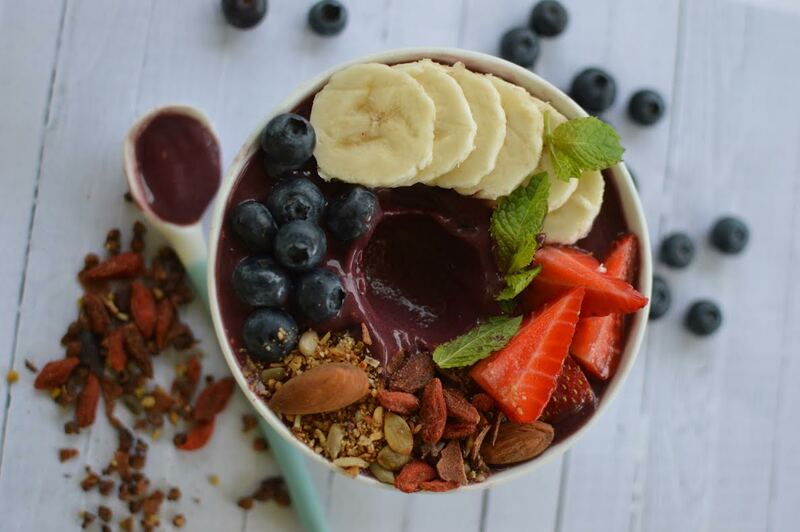 It’s become quite the ‘it’ breakfast in the past few years, with hundreds of cyclists, gymgoers and families hitting up their local acai bar on the weekend. And for a good reason – it’s totally delicious! Now you can make your own version at home with this recipe. No activewear required, just your favourite toppings. Place all ingredients in high-speed blender and blend until smooth. Add more liquid for a thinner consistency. Chop up your favourite fruits and add as toppings! Here are some of our ideas: granola, fruit, goji berries, shredded coconut, chia seeds, cacao nibs.